The bedroom is the perfect space for you to express your personality through fabulous bedlinen. Whatever your taste we can inspire you with classic florals, cool contemporary styles, glamorous decorous designs and those everyday linen essentials. Just add our finishing touch curtains, cushion & bedspread accessories that complete your special bedroom retreat. 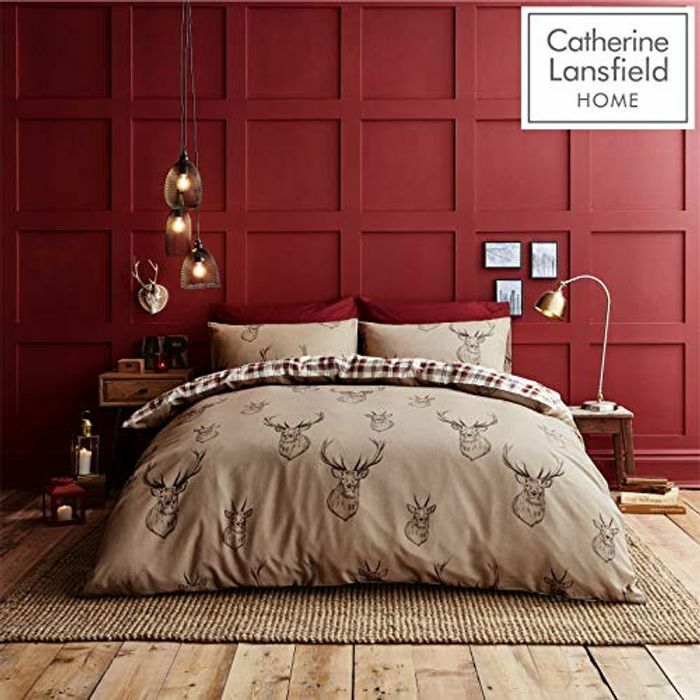 Add a touch of sophisticated style to your bedroom with the stag set. The perfectly placed stag head print is sure to make a statement. On the reverse, a red and white check offers another stylish look. A cosy stag's head design on a natural base with a contrasting check reverse in a flash of red. The set contains a double duvet cover with 2 matching pillowcases.